One of the advantages - for lack of a better term - in America, or anywhere outside Israel for that matter, is that most people don't try and convince themselves that they're someone special. DeHaynu, most people stick to the norms of the group that they belong to and don't think that they're the Alter of Slabodkeh or the Vilner Goyen. Even the Rebbishe types basically tow the line and do others what do, for better or for worse. They'll all make the same weddings and the same Shvuos flower arrangements in their shul, give or take a potted plant. Yes, you'll have a few spodiks with veise zokken, but even that is only because they feel inferior because they've been in America too long. But we can accept something as benign as that. In the Holy Land things are different, we can debate as to why, but that's the case. Between ChazonIsh'nikkes, Briskers, Americans that make Aliyah and all the rest, it's a free-for all. Anything goes. That's as far as groups go, and we just said that we don't mind groups as much, but then there are those who woke up one morning and decided that they're, like, super-special. That somehow they're gonna live in the Old City, wear tefillin all day like the Tanoyim and Amoroyim, and make Yiddishkeit worthwhile to G-d again. I'm not sure about this, but being that this is happening in the Old City I would say that this has something to do with the Zilberman crowd. I would also bet that some of these full-day tefillin wearing guys have a problem with Chabad putting tefillin on Jews because of Guf Noki... Then again, maybe it's a Taanis thing and they don't do it every day. In any case, it's cool. Newly installed Rov, HaRav Simcha HaCohen Kook, speaking after Mincha on 17 Tammuz. Somewhat of a mixed crowd. Let's see how long the Dati LeUmi crowd hangs around. I say not very long. They're gonna be made to feel very uncomfortable and leave. The shul sure is a beauty! Inconspicuous yet at the same time very much not. Let's see if I have this straight: The Chinuch Atzma'i Bais Yaakov in Emanuel, West Bank decided that some of the students there no longer met their high standards. It seems to me that they decided this mid-year, otherwise they could've just asked those students that they didn't want not to come back to school. I could be wrong, however. They kept on repeating a set of rules laid down by Rav Wosner that the ones they would not accept did not keep or would not. Yes, there were lots of people that complained that they weren't accepted, but there were kids in school that became treyf overnight, once already in school. That part is the one I don't get. "You can't change the rules in the middle of the game," is what I learned in the schoolyard. But it seems like in the mean streets of Emanuel they do things differently; they do change the rules. Either that or they put up walls in the school corridor so that they not defile their eyes and ears by seeing and hearing the dark ones. OK, not all dark ones, only some of them. I know, I know, they have Sefardi girls in their school too. Who thought of this crass, tactless way of dividing Jews? What kind of education did they get? These are heroes?! So they mixed in the BaGatz and that's where they lost. Most Jews don't like a bunch of elitist Leftists telling them what to do, no matter what it is, especially frum people. Unless you're an elitist leftist yourself... I'm sure there were lots of Rabbonim that would've taken their (Laloum & Co.) side, they even insist that had the Slonimer Rebbe known what his people in Emanuel were up to he would've brought an end to it immediately! Which shows you that they chose not to besmirch even their greatest adversary in this case. So they learned from the Kanoyim how to make a production and got everybody involved in a very short period of time. Hundreds of thousands (of Ashkenazim) came and sanctified Hashem's name. They - the parents - promised that they'd never back down, even if they were threatened with death by firing squad - as the Slonimer Rebbe put it - and even if it was only for a few days. We see how that promise was kept... So what was the point of these fathers and mothes in jail anyway, just to prove a point, to send a message to BaGatz? what about all the innocent kids who were blacklisted, was the point made on their backs? Then there was the Thursday night cholent and melava malka at the prison... I realize Israelis don't work or do much else, but where do people find the time to do all this? Oh, right. they don't work. Then came the non-stop celebration and the victory laps and parades. Hello? anybody home? You compromised your so-called values here, even if ony for 3 days, why are you so happy, just because they were released? This wasn't the Rubashkin Trial, we all knew it was only for 2 weeks in the first place. Whatever. And they all take credit for this great victory! everybody from Meir Porush to Yankel Litzman to Eli Yishai to Rav Ovadia, for whom this may have been a vendetta against his "disobedient" son Reb Yaakov, may he have a refuah sheleimoh. Shas did nothing the whole time when this was going through the Court, they allowed Laloum to do their dirty work for them, since they too complain that they're shut out of the Ashkenazi mosdos. And now they take the credit... There's lots more to discuss, and I know I had more on my mind, but it's way past my bedtime. I'm sure they'll all come up in the comments section. I know I'd like to know why the Slonimer's first stop was to Rechov Chanan 10.... 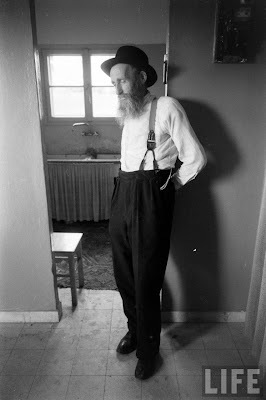 They always did have that lack of chassidishe shtoltz - well, not always, only the last 2 generations. "Sabonim" is the most awful epithet I've ever heard. The intellectual secular European-based Zionists, spiritual yorshim of the Maskilim, Conversos, and Misyavnim, tossed aside all valor not given to action. Holocaust murdered and survivors alike were named Sabonim after the soap made of human flesh in the concentration camps. Epitomizing their disdain for sheep led to the slaughter, these upper crust Jew-hating-Jews had no use for quiet dignity, for humanity maintained under the Nazi boot. A group of people allow their minds and egos to lead them as sheep to spiritual slaughter. One of their calls to arms is the Rebbe's attendance at Sorbonne University. Simply a matter of history, of no influence on anyone in any way, they insisted that the Rebbe never attended Sorbonne, therefore chasidim lie, therefore chasidus is a lie. They continue to insist this although JEM uncovered the signature of the Rebbe's inscription as a student. Therefore, I call these people "Sarbonim". 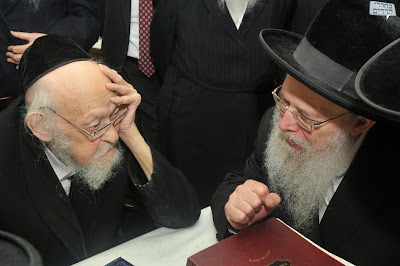 Recently, the Sarbonim rejoiced as two of their members published a biography denigrating the Rebbe. Thankfully, a man of courage and wisdom, Rabbi Chaim Rapoport, took down their unscholarly and untruthful work in a 45 page article. The hosts of the site where it is published are to be commended for their interest in truth and justice. Their actions here qualify as tzedek, tzedek tirdof. A. Dr. Stekel does not give a name, only the title Rabbi. The identity is a guess. B. 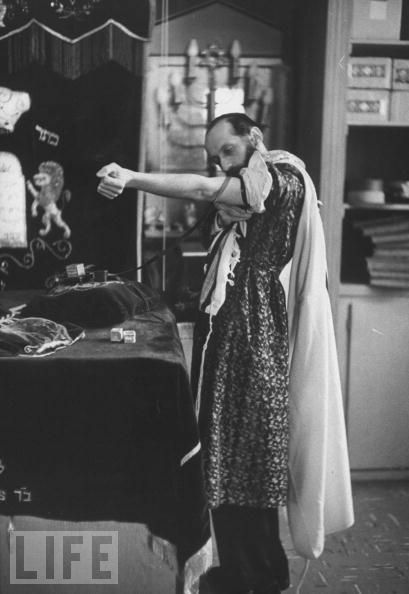 The guess might be based on symptoms and personal data, but the data in the analysis doesn't match much told by others, including the Frierdike Rebbe. C. There is one outright mistake. He mentions at the end that the Rebbe Rashab sent a daughter for treatment later on. The Rebbe Rashab had no daughter and only one son. There are two points of conversation in the article that do not make any sense. Dr. Stekel writes, "’How can thoughts produce a severe bodily disease? How can mental things be transformed into physical ones?’ asked the astonished patient." The gemara describes a case of a man so taken with a woman that he became physically ill. This statement should have caused no wonder for the Rebbe Rashab, although it was a novelty in medical circles. Additionally, he mentions a lack of awareness of issues involving shemiras habris. Lack of awareness and knowledge of these issues was very common in general society at the time, and formed the basis of Freud’s theories, but not in learned Jewish circles - Tanya for one mentions the kapara for lack of shemiras habris many times. Both of these points lead to the thought that Dr. Stekel was trying to prove a point to psychotherapy's opponents, not accurately describe conversations with a patient. 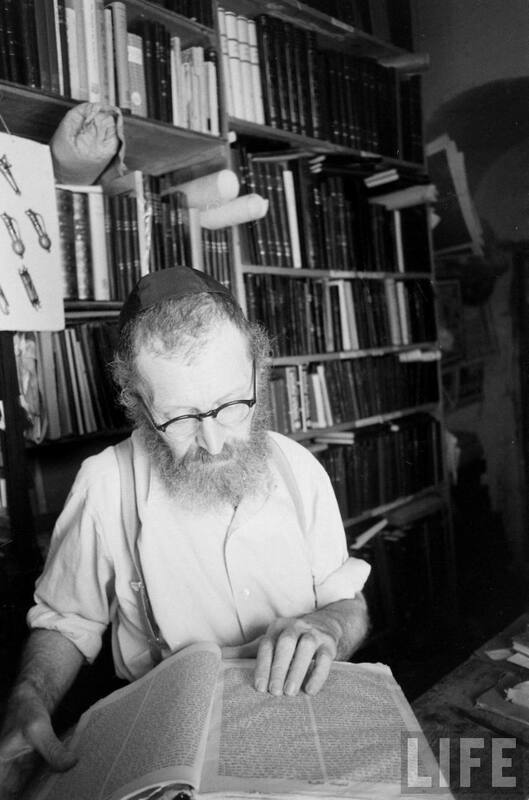 My opinion, for what it's worth, is that Dr. Stekel wrote a fictional account of a Rabbi's treatment loosely based on the Rebbe Rashab's conversations with Dr. Freud, and possibly even with Dr. Stekel. I haven't read the academic article, only Dr. Stekel's case description and the online discussion of the academic article. There is considerable academic discussion questioning the truth of the cases published by the early psychotherapists including Freud. Their ideas did not survive the test of time either, and they seem to be credited only with giving birth to the treatment of mental issues and disorders through therapy. There is nothing disrespectful academically in suggesting that Dr. Stekel would write a fictional account if he thought it would further the cause of psychotherapy. This is very unfortunate, as it would have been interesting to read a truthful account of the Rebbe Rashab's treatment, warts and all. To further clarify this account as fiction, Rabbi Sholom Ber Levin released letters of the Rebbe Rashab concerning his treatment. These letters detail a consultation with Freud as a neurologist, who together with an internist named Dr. Nothnagel prescribed electric shock treatment. Yup, folks. 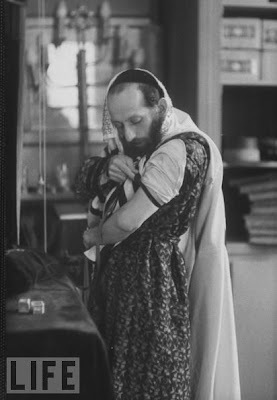 The Rebbe Rashab had a neurological disorder of the hand which disappeared after electric treatment. No psychoanalysis, no consultation with Freud because of his new medical ideas. Dr. Stekel claimed that no other treatment had worked, and that his treatment brought a cure. Pure fiction. 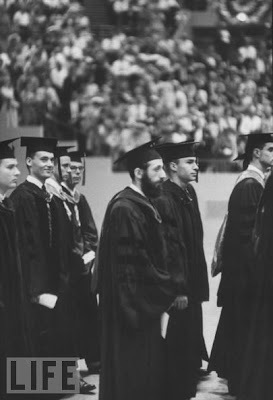 Again as a chosid, the details of the analysis itself, whether in character of what we know of the Rebbe Rashab or not, make no difference, just as the Rebbe's attendance at university makes no difference. In Lubavitch our Rebbeim are human and we portray them with their human detail as well as the eloki. The wonder is the guf gashmi, that a series of humans with varying personalities can live lives both earth-some and faultless. Einenu ra'u meoros, we saw the Rebbe's behavior and chasidus and we study the Rebbe Rashab's chasidus and life. The details of their lives are interesting and often instructive. Once our eyes judged them to be truth and elokus, it's beyond us to rejudge with every new detail subject to interpretation. Our stories are great when they follow the line of R' Shmuel Gurary remaining a chosid when the Rebbe's advice lost him money. Stories of miracles instruct us about the greatness of Hashem, as the Rebbe wrote explicitly, they teach us nothing about our Rebbeim. Interesting, yes, helpful, no, truthful, not always. The same may be said for the revelations treasured by the Sarbonim. We discussed how in far-away Hungary they heard about the Rebbe's arrest and possible execution, r"l. My zeide, a"h, told me so himself. He was 17 at the time. 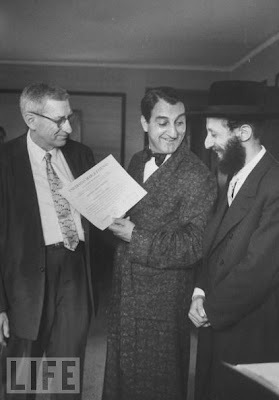 And how in Yerushalayim they didn't say tachnun after the Rebbe was released - as per the orders of Reb Y. Chaim Sonnenfeld, zt"l.
Someone here - I think it was Yehupitz - asked if Rabbi Dr. Twerski ever mentioned in his books that Danny Thomas, Christian Lebanese Danny Thomas, paid for part of his medical schooling. Here's the answer. It's a lesson in life we can all learn. How no matter who it is, we must always be appreciative. I forgot this one yesterday. The tatte still had the large tefillin fin der alter heim, the kids already not. The eyniklach nebech think that we're making fun of their family; they think we're Bobover cheder yinglach here. They don't realize how the elder Twerskis are respected throughout the world, in all kreizen, for all they've accomplished in the world, and for steadfast commitment to Torah and Chassidus. I'm sorry that they lost the Twerski touch. It would've been nice if it had continued another generation or two. These photos were taken by a photographer for Time Magazine (that later merged with Life Magazine). 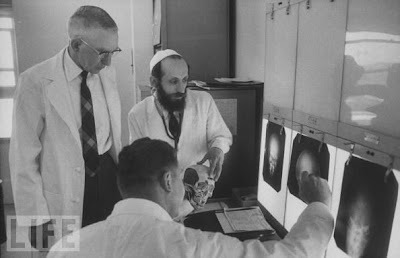 This is R' Dr. AJ Twerski, and the event that was being chronicled was his graduation from medical school at Marquette University in 1959. Much of the cost of the schooling was assumed by Danny Thomas whose efforts to build hospitals for the poor took him to meetings with various notables in the medical field. At one of these meetings, he had met with one of the professors at Marquette who mentioned having a bright young student whose challenge in meeting the financial obligations was significant. He volunteered to pick up the tab. 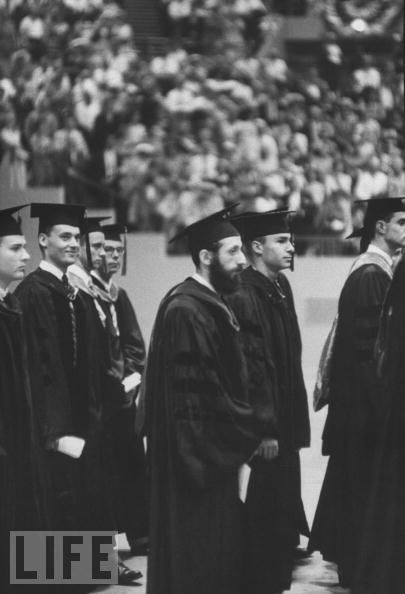 Time Magazine assigned a photographer to create this portfolio of his graduation, as well as his home life and his activities as the rabbi in Congregation Beth Jehudah (founded by his father ZT"L). Only one photo landed in the Time Magazine article. 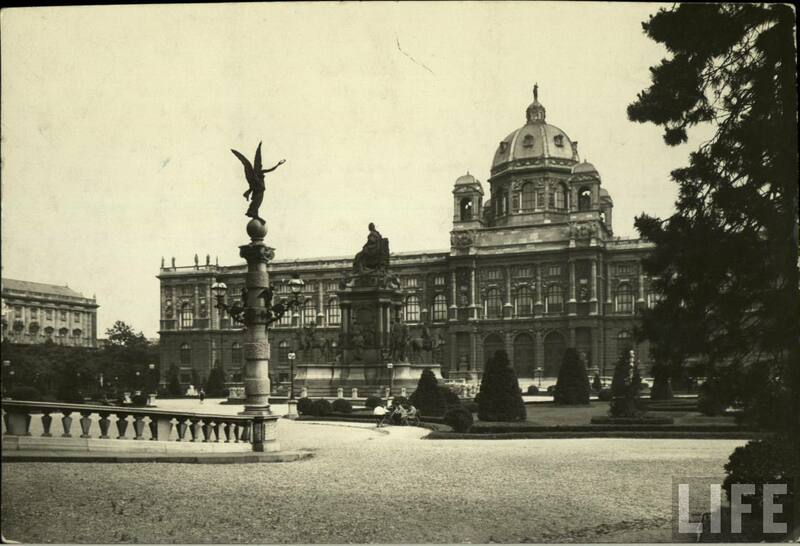 It seems the photographer contributed the rest to the archive, ending up on the website and open for public viewing. I am a member of the family. Is It Over For Me? Here's what a kid asked his father after last night's Rubashkin rally in Boro Park, to which I might say that Monsey was alot more impressive, being that they had almost as many people at the rally last week, and they have a quarter of the population that Boro Park has... "Totty, will Circus Tent close up shop now that we see that the world does not hate Chabad and will do anything to save a Lubavitcher like Reb Shulem Mordche HaLevi ben Rivkeh?" I must tell you, my friends, I was taken aback by the innocent question of a child, despite the naivete. 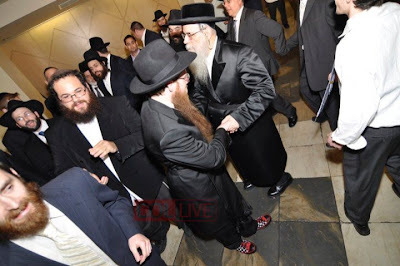 We have seen unprecedented achdus these last few weeks and months, but we've also seen some of the worst that our people has to offer, where so-called Bnei Avrohom Yitzchok VeYaakov dance on the blood of Reb Sholem Mordche's and his family, despite having no vested interest in the matter. Not that I'm here to defend RSM's honor or to attack the haters, but even this issue hasn't proven what the young child thinks it has. Obviously we can tweak things here and there, as far as the blog is concerned, but we definitely still have work to do. Again, for those of you who missed my comments about the sentencing - they appeared in the comments of a previous post - please remember this: I cry for them just as much as you do, but I have nothing left to say. I can sit here and blast Judge Reade and the prosecution till the cows come home - and the cows around here don't come home, if you know what I mean - but there's nothing left for me to say. All the discussion here does is bring out the best in people, where you have idiots commenting here how it's all this one's fault and that one's to blame for not cooperating or for wearing a kittel to court. How much can one person take? If you don't like the way they raised money or blasted the prosecution go and do it yourself. Organize the people and glavanize the masses the way you see fit. I guarantee you don't make one tenth of what these guys collected. I'm not quite sure which crime they committed by raising money and proclaiming his innocence! Now we need to just sit there and take it from an overzealous team of witches that were obviously out to get him? Would any other ethnic or religious group take it like this? I doubt it. They have no problem defending and praising cop killers like Mumia abu-Jamal and making him a cause de celebre', but we can't defend a man who was hunted down for no good reason?! And to you baboons out there who seem to lump him together with the run of the mill white collar crooks we see today, I say: Read the history if you can, or have your wives or mothers do it for you. You may learn that you were very mistaken about what his "crimes" were. There, I've said it. I can't do it anymore. Zol der eybershter rachmonis hubben af unz allle. a Shabbos at the Tziyun/Ohel - Somebody else's this time! It all started when I happened to bump into Hirshel Tzig this pass Friday. In middle of a harmless and casual conversation he effortlessly and nonchalantly “dropped the bomb”. He asked me if I would like to join him for Shabbos by the Ohel. 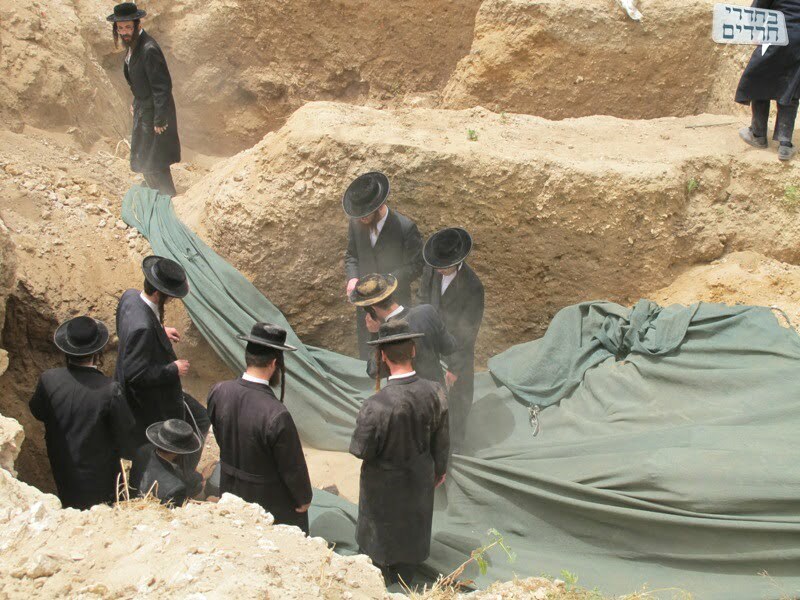 (The Rebbe's resting place - HT) After I recovered from the shock and mumbled some noncommittal statement, the conversation moved on to other things. When I got home, I did some research about the matzav by the Ohel and called back Hirshel with my acceptance. It was the Shabbos about things that are למעלה מהשכל והדעת that gets ridiculed by those who don’t understand, so I figured I should give it a go. At the very least, it is a change of scenery, relaxing and isn’t worse than a trip to Israel (or to Uman); it happens to be cheaper and the travel is less arduous (despite the traffic on the GW). As expected, getting there two hours before Shabbos – obviously there to stay – I would be rather conspicuous from the outset [I was already donned in my Shabbos finery, tie included, which is a dead give away]. I got the stares from everybody. Stares that were a mixture of curiosity, bemusement and bewilderment, with a heavy lace of skepticism. 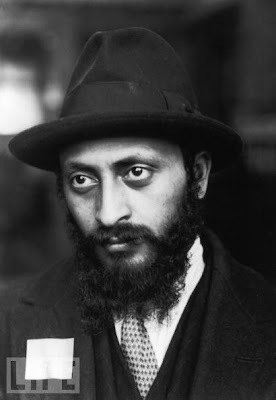 I most note, for the record, that the Lubavitcher Stare is חלוק בעצם יסוד דינו from the stare of the Snag. The stares I got, were benign and inconspicuous; a far cry from the finger-to-the-nosepiece and in-your-face type of glare that you get in some butey midrahsim in the Ihr Hatorah. I learned many things over Shabbos – besides for the advantages of Vodka over Woodford (it's a much slower high and is easy on the stomach) and that one can have a large contingent of Lubavitchers without even ONE red beard in the crowd (although there were many with the Lubavitcher trademark beard-growing-from-the-sides). I also learned that cradling a cup of Mashkeh, singing, shmoozing and saying stories that are interspersed with life advice, is not just “chilling” but it is farbrenging. On a serious note, even though it is hard to determine when a farbrengen starts and ends, who is actually part of it and who is just merely looking at others farbreng, there was an aura of seriousness in the air. הלואי our Purims should look like that. It was uplifting and inspiring – to say the least. I also learned that in Chabad, they purposely miss זמן תפילה even though most of the oilam was up at seven. I guess they were making hachunos (people were very serious and most of them were learning Chassidus). It was very surreal and pleasant – the two Israelis learning the Rebbe’s letters bichavrusah were still sleeping. Every single person in the room was eating מזונות and not all of them were sitting. I was expecting a long and farshlepteh davening since they all got their Cheerios, but I was somewhat taken aback by the quick pace of the tefilos – at least they ended up eating three סעודות. [I will leave the gritting fake “ayes” for a different time]. As we are waiting for the עת רצון, Hirshel accosts me with his idea that we should learn something. 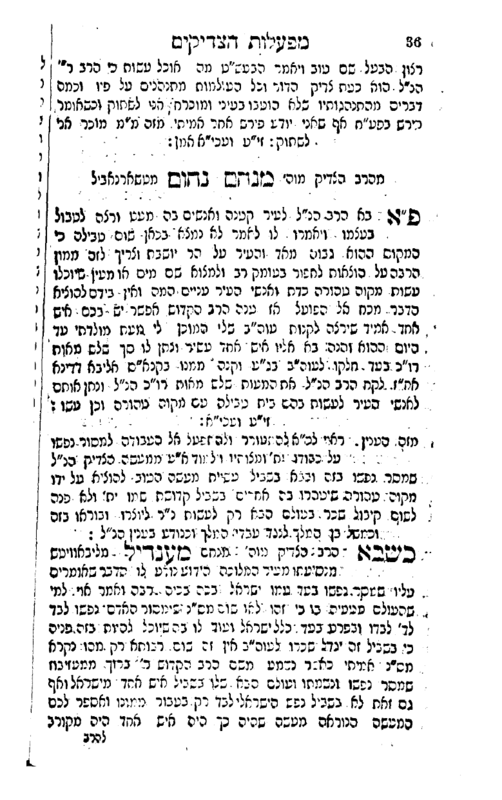 I head to the seforim shank expecting to see a גלית עלית but instead I find Shapansky’s sefer (בכורי ראובן) and another sefer written by a 17 year old buchor who is an eynekel of the Leshem. While we were learning, the only fellow there who was wearing slippers the entire Shabbos, struck up a friendly and animating conversation with the Tzig. I wanted to ask him if knew the Dinover, but I kept my mouth shut. After a brief exchange of pleasantries, he got down to business. L: Chabad is the Pnimiyus. L:Did you know, that in 1917, everyone tried to leave Russia except for Lubavitchers? M: I thought Breslovers and Novordikers also stayed. L:The מסי''נ comes from learning פנימיות התורה – that’s why so many Lubavitchers are moser nefesh to go an shlichus. M:Some shluchim don't learn chassidus either. In conclusion, although I hate to admit it, especially considering all that I hear about that cemetery over the years, overall the Shabbos was very uplifting – despite the fact that I wasn’t able to bring myself to go the Ohel. There was an atmosphere of serenity, peacefulness and tranquility. Even I felt the קדושת שבת to a strong degree, and just for that, I would do it again (maybe). It's summer and the weather is unbearable. At least in my neck of the woods, it is. I always wondered how Jews - and non-Jews - managed in the old days, with no cooling and clothing as uncomfortable as can possibly be. They speak of the Union soldiers and their blue wool uniforms dying of heat in the Southern summers during the Civil War or the War between the States. 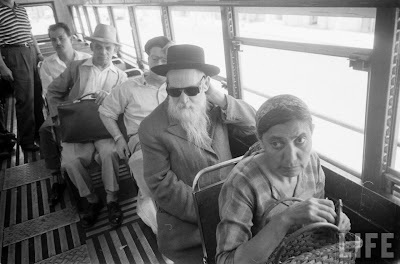 This Chasidishe Yiddel on the bus tried to ease the discomfort by wearing light-colored clothing, as is evidenced by the gray rekkel he wore, and by shading his eyes from the unrelenting sun with a pair of sunglasses. Those of you that know will know to remember the pictures of Yossel Ashkenazi in the Beis HaChaim in Tzfas wearing those shades from the '50s. Far be it from me to not judge Jews favorably, but it seems to this objective observer that we've been trying to make things harder for ourselves. 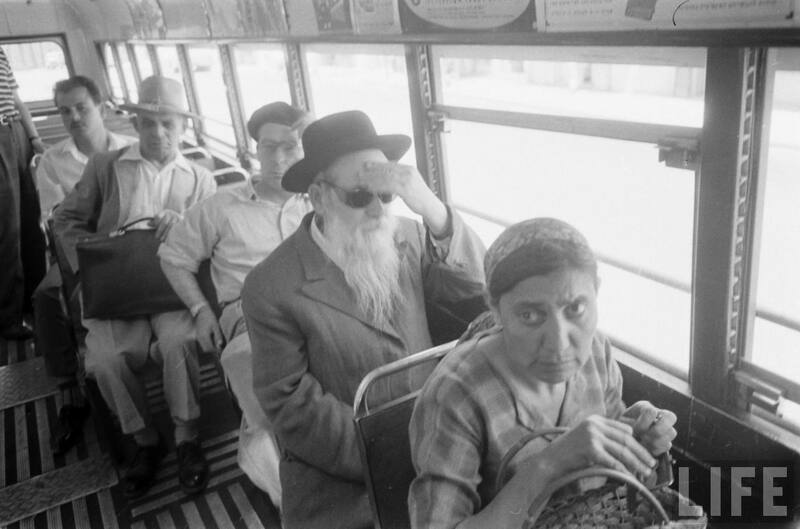 That a Jew like on the bus, despite his obvious mesirus nefesh to maintain his Yiddishe Tzureh, would be ridiculed by the young for his "modern look..." I myself have a very low tolerance for heat, but I manage somehow, especially on Shabbos. You begin to learn how to manage when the electric bill comes in the summer. Money takes care of lots of hangups you had as a kid. You no longer need a new Borsalino every six months and shoes and pants don't matter as much to you either. You learn to make due.On Shabbos my neshomeh yeseireh allows me to wear my hat and kapote in the 100 degree heat, even when others in Monsey find it unbearable. I thank G-d for that. איי, the gy looks at me and thinks that Ich bin gefallen of'en kup? This is my Kaporas Aveynes. But when I see the alte yidden mit di G&G wool suits walking on the street I feel for them. A young guy can handle it, but why does the 80+ Yiddel with the heart condition need to kill himself? That I'll never know. There are two - maybe three - points here - and they need to looked at separately. The fact that the BaGaTZ (Israeli High Court) is meddling in the acceptance practices of frum schools is terrible and needs to be stopped. But the problem is that people - the non-religious Hamon Am - and most frum Sefardim as well - see this series of demonstrations as support for "discrimination" and "Racism." They very often are turned down when trying to enroll their kids in Ashkenazi schools. 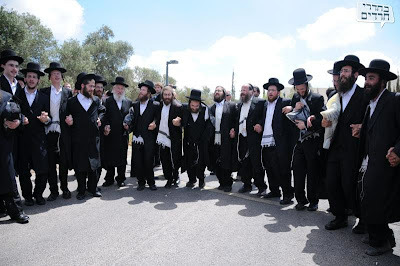 They see the parents of the mostly Slonimer Chassidim being lauded as heroes for insisting on being separate from the Sefardim, despite it not being the case. Meaning they're being called heroes for listening to their Rabbonim, not because they're Racists. The Charedim need to do a better job of PR, despite the fact that the deck is stacked against them by the Media. If I was not frum I'd watch the evening news and be disgusted by the pageantry and dance going on. They could've separated the two incidents and not made as if all these 100,000 people support segregated schools, which is how the International Media is reporting it. I got so many requests to post it and to give a deiah on it that I felt I had to. Post it. I was there at 9pm, when there were about 20-30 people there. After all, it was called for 9 בדיוק גמור, and I didn't want to miss a second of it. I saw all the thousands of chairs that were set up and I thought it was very wishful thinking. It took some time till they started, about 9:20 or so, and they needed to ask people to move up towards the front. We figured they wanted to make it look better. But you see the pictures, they filled up the hall and then some. The MC, the speeches, the applause, everything was textbook good, nisht stam. You stand there and you watch it and you tip your hat to the organizers. How they managed to get such an oylem, so many Rabbonim and Roshei Yeshivah - it's beyond description! And best of all they "made" you make a donation; with at least 30 people collecting in 3 different locations there was "no way out," you had to give. You may think it a bit "pushy" and uncouth, but I assure it was done in good taste, nobody confronted you, but still they called out to you and made sure you parted with some of your hard earned cash. What got me was how the whole crowd was into it, listening to every detail and following along, as if it was their own brother. And that's how SMR was referred to over and over again, Inzer gitter brider Reb Shoolem Mordche HaLayvi ben Rivkeh. I wish I could sit here and convey my feelings of all the speeches and how much we should appreciate what the "askonim" are doing, but that would just take too long and I may not finish it till next week. So if you were there and have feelings to share please do so here. In short, I sat there from 9 to 1am and was flabbergasted. May G-d bless all that are involved here. They mentioned a Yoeli Shvartz of the "Klal Yisroel Fund" that was instrumental in organizing the event and has worked with our very own R' Pinchus Lipschutz I guess in raising awareness and money in the Satmarer and Chassidishe circles. 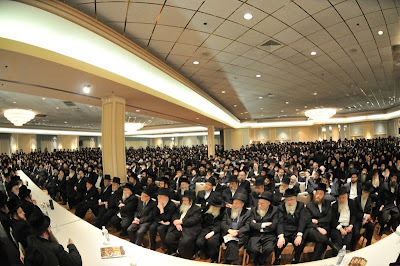 Over Shabbos the number 100,000 was thrown around alot as the amount raised that evening, and you can believe it. all pages can be clicked and enlarged. The test was given to Belzer bochurim in Israel recently. I'd like to see those who attacked Lubavitch for being "elitist" explain how Belz is any different. I'm sorry about the last (lonely men in Jaffa) post; for the lack of clarity, for the jumping from one topic to the next. I'll try and make good here. There are two or three issues that we can discuss here. 1) Why the Kanoyim are the only ones fighting grave excavations in Israel - and basically the world. [You see them in Europe and elsewhere, but they do act differently there. No fighting with the cops, no jumping into graves. Mostly diplomatic channels. They don't get covered in dirt like they do in Israel...] Is it just because it's in their veins, so they don't stop, or do they really believe? It's become a sort of "rite of passage" for some. You had the Rebbe of Khal Chassidei Yerushalayim (a Karliner offshoot) arrested, as well as the Satmar Rebbe's great grandson. Why those two decided to show up is kinda weird, unless they had never been in the slammer before, and needed it on their respective resumes. It's as if you're not one of the true Jews if you've never sat in prison after being arrested by the Zionist police... I guess we all have our issues; some Lubavitchers had their day during the Gush Katif fiasco several years ago, but they were very few and far between. There too some felt that to get arrested for that cause was a feather in their hat. But they chose to ignore that this isn't and wasn't the Rebbe's way, not when it came to graves and not when it came to expelling Jews from their homes. 2) why the Agudah and Degel no longer consider it a priority when they officially did consider it important a while back. [Or have only their methods of protest changed?] Is it the fact that it happens too often now? Is it because they can't afford to burn their bridges with the Israeli Gov't? Or is it not really an issue and never was, meaning that A"P din you were always allowed to excavate l'tovas progress? [In truth that's more of a dati leUmi answer to why it's ok to excavate, although they were quite upset that it happened after the Gush Katif expulsion, and were upset that the kanoyim had no problem with the Gov't removing tens of graves - vaday yidden.] Some of them would tell you that it's because they have enough of a rapport with the Government now that they can talk to authorities now. No need to burn garbage and demonstrate. In any case "Chitutei Shichvei" is no longer an issue with those in the mainstream in Israel and the Diaspora. There's a lot more talk about the Slonimers in Emanuel and the terrible decision of the BaGaTZ. The frum ones now will tell you that the bones are not of Jews, or that they can be moved to build the hospital ER in Ashkelon, or that the Satmars are doing this just to flex their political muscles. 3) Then there's Lubavitch, everybody's favorite whipping boy. 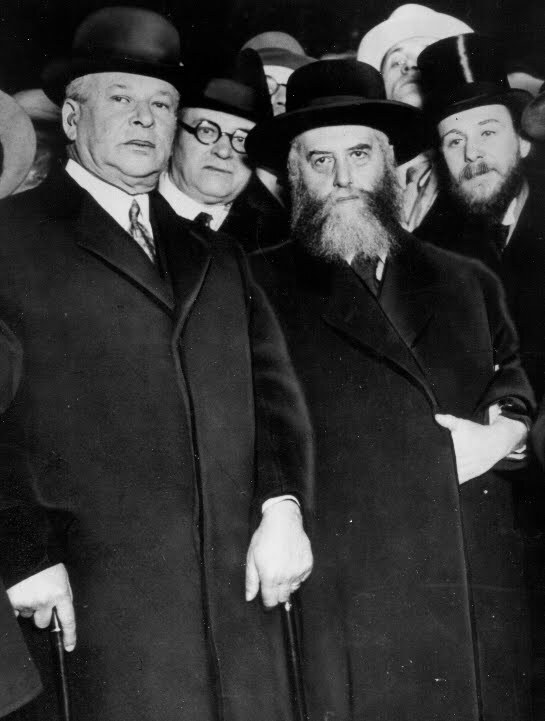 "Lubavitch never demonstrated with us, they never cooperated, they never cared about any of the issues that were of concern to frum Jews in Israel, and by extension, the world." It would seem to this objective observer that Lubavitch is simply ahead of their time, as far as the rest of world Jewry is concerned. We always did what they're doing now! Most disputes now are resolved by a simple sit down, where the police and/or Government officials sit down with the Rabbonim and try to please all parties involved. People are disgusted by the demonstrators and that they give all of them a bad name. That's as far as demonstrating and kol korehs go. We all know how the Rebbe worked tirelessly to build Yiddishkeit all over the world, so to say that he didn't care is simply not practical. 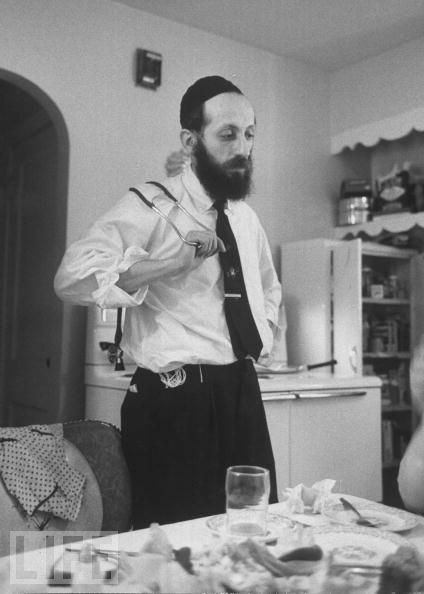 You can say that about people that opened their own little shuls on Clymer and Wilson and Hooper and Penn, and made nice money from it over the years and married off their kids from it, but you cannot say that about the Rebbe, unless you're a total buffoon, which many of you are, if I may say so myself. And to point to his basically worthless signature on a KK nobody saw and use THAT as proof that he worked l'maan haKlal is laughable. What I also don't get is why they would want Lubavitch on board at the same time that Lubavitch was MiChutz LaMachneh... Would they have the Rebbe become big in their circles, avade nisht. There would be no room for him. Others like the Skverrer Rebbe were also not into signing and screaming. But I guess his image was protected by the fact that he was into Hisbadlus, so they let him pass. He also was not a threat to them and their positions of power. 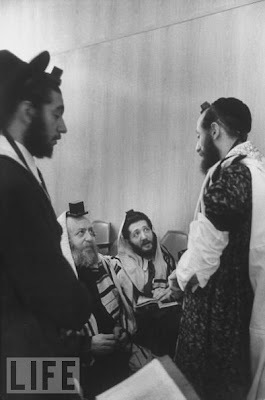 Back in the 50's, when they needed the Rebbe to support their battles they used him, but then he was discarded like a used kleenex. We cannot turn back the clock, but we sure can defend our positions. We can also maybe, efsher question what - if anything - the violent demonstrations did other then alienate millions of secular Israelis that felt that the Charedim are a fifth column in their country and no nothing but get in the way. I know I had more to say about the subject, but being that it's been 2 weeks since I started this thread ideas and opinions get lost along the way. I apologize for making y'all wait so long for part II. I had defended Yehupitz when he was attacked for stating his opinion about some of the Chabad bashers. I called him someone who had a "love for the Rebbe" among other things. Yehupitz has graciously accepted my offer to put his thoughts about Chabad in his own words. Thank you for the defense, but I would like to clarify my position. "Loves the Rebbe" is too strong for my taste. I would prefer it said that I admire the Lubavitcher Rebbe zt"l. Contrary to your guess, my admiration did not begin with my witnessing "his experience l'maan Haklal." I attended Litvishe Yeshivos, whose Roshei Yeshiva, who all davened Nusach Sefard, had a strong hisnagdus to Chabad. Since my youth I have been fully aware of all the tainos, and some of those tainos still bother me. My admiration for Chabad began with learning the Chabad seforim: Tanya, Torah Or, Likutei Torah, Derech Mitzvosecha etc. Until I got into Chabad learning, I thought Kabbala and Chassidus were just a wacky form of science-fiction. I then began to see that they deal with philosophy in a way I had never seen in anything else. 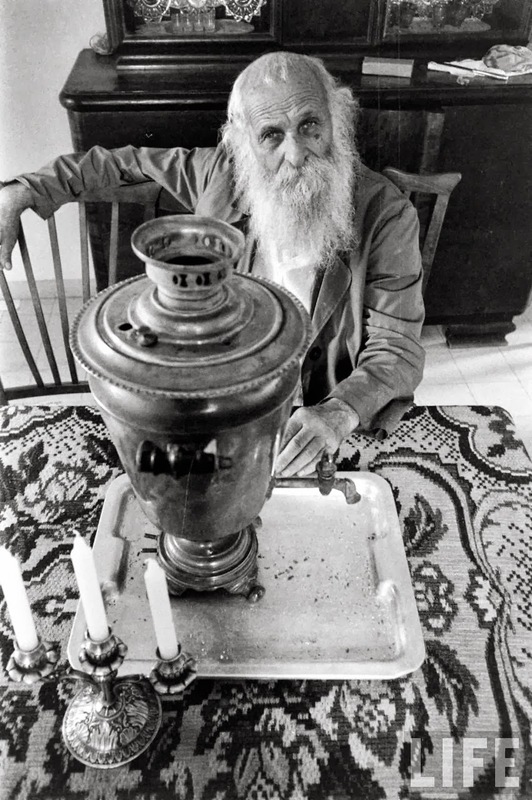 Learning the Rebbe's Maamorim and them some of the sichos, and talks that expressed attitudes towards Kiruv (or hafatza if you prefer) that mirrored or fortified my own views, led me to admire the Rebbe, despite/because of all the "chiddushim" he introduced. 1) A level of Leader-reverence and a focus on said leader that far outweighs respect traditionally shown to Talmidei Chachomim and Tzaddikim. Does it make me feel uncomfortable? Often, yes. 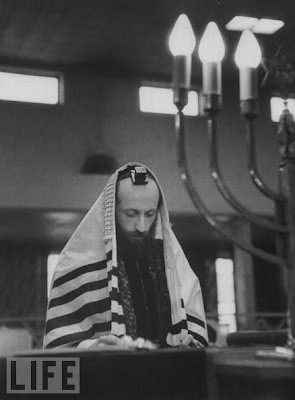 But I can appreciate that the Rebbe fostered this kind of attitude to fire up his followers to accomplish great things. The negative consequences are obvious to me as they are to the Litvishe world. And no, I do not think that even this exaggerated form of reverence should earn them the title of "cult". And I am able to appreciate the positive consequences and remain optimistic that they will outlive the negative. 2) The emphasis on bringing Moshiach. That some chassidim think the Rebbe never died, or will rise again etc. is disturbing to me. Yet again, I see a carefully designed, non-violent messianic expectation as a positive development for Klal Yisroel and the world. David Berger, coming from his studies in early Christianity, thinks this is the beginning of a new Christianity which must now be nipped in the bud. I say that if this happens, we'll throw them out then. I see no need for a preemptive strike on a movement that may or may not turn heretical in 200 years. Until then, the hope is merely on low simmer, and irrelevant to most Shluchim's work and teaching. I can live with that. 3) A different kind of emphasis on Talmud Torah K'neged Kulam from the Rebbe and Chabad in general since the days of the Alter Rebbe. I've never learned in a Chabad Yeshiva, but I've visited a few. They learn plenty. The sedorim are filled, with open gemaras and "real" seforim. So I know that the talk about "amaratzus" is unwarranted. But taking learning to a practical level (Talmud meivi lidei ma'aseh) is not a bad thing. I think frum Klal Yisroel needs at least one group that doesn't fool itself into thinking that "Ein Li Ela Torah" is a positive thing. "Afilu Torah Ein Lo." "Mutav Lo She'lo," etc. 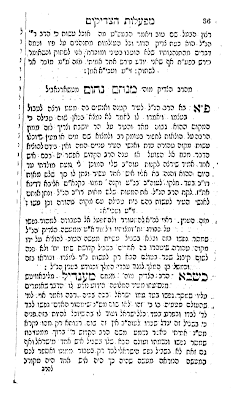 4) The changes the Rebbe made to Halacha. I think this is a huge canard. I read the talks about Shalosh Seudos and Sukka-sleeping. The accusations made are absurd. The Rebbe never said that the Chassidishe Toira uproot the mitzvos in question. 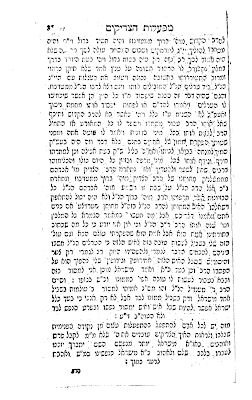 He used the Chassidishe Toira to justify why the previous Rebbes were meikil like the Yeish Omrim opinions of the Mechaber and Rama in contrast to their usual practice to be "mehader" and follow the stricter views. 5) Chabad think they're better than everyone else. They think the Rebbe's bigger than everyone else. I say "So what?". 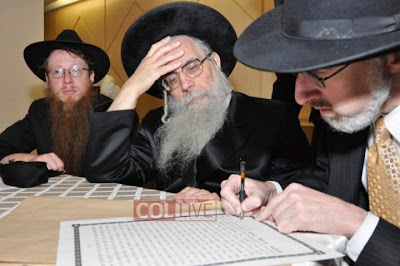 If you disagree and think your Rebbe or Rosh Yeshiva is bigger, i.e. has a better plan for Klal Yisroel, knows more Torah etc. good for you. The elitism that frustrates so many people doesn't bother me. The way I see it, the Baal Shem Tov (or Mezritcher Maggid, or Baal Hatanya) didn't go about his mission because the thought he'd introduce a new flavor into the Eilu V'Eilu market. He thought Klal Yisroel was lacking an emphasis that needed to be added, or reintroduced if you will. You disagree? So write a Nefesh Hachayim. But the etzem taano of "superiority" of hashkafa doesn't disturb me. Do I wish there was less sinah? Of course. But I still haven't figured out who to blame for that. Maybe human weakness on all sides plays a role there. My thoughts here on constantly in flux, and I have no problem adjusting or rephrasing if shown to be inaccurate. There is one thing we need to the first flashback piece. I do know who the distinguished looking man in the center is. 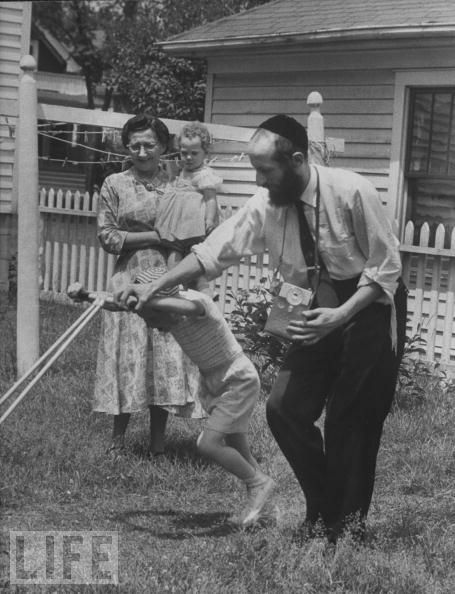 He was a Rov in a small village in Hungary and was an uncle of the Kallah. His name will remain with me for bow. Maybe it's all a game. They don't really believe what they're writing no matter how they revered the Satmar Rov z"l. Maybe they write this kind of stuff only because they're never afraid that it'll hurt them. People that need to interact with other people from other kreizen don't broadcast such stuff for the world to see. (That would tell you some of the more radical unemployed Meshichisten do what they do.) They're financially independent and aren't afraid of repercussions. Boycotts rarely work. People want their shopping experience to be as hassle free as possible, and don't want to worry about what they can and can't buy. Most people don't read the newspaper and would never see it if not for Circus Tent. Not that I'm condoning boycotts here, but it was mentioned on the blog this week. They have a really hard time expressing love for other Jews, despite all the Tzedokoh and Bikur Cholim and Hachnosas Kalloh, which amazes me. And they're so proud of being "mekayem" משנאיך ה' אשנא, mamesh tzaddikim gemurim. What a guide in life that is... Whatever. What gets me in this editorial is this phoney baloney line where they daven that the medinah collapse without any Yid being hurt, c"v. Not that I doubt that they don't wanna see Jewish casualties, c"v; what I do doubt is their sincerity. S'nisht kein davenen, s'gornisht. They're not davening to hashem to destroy anything, and if they do then they don't believe that G-d will actually destroy it. They too have too much invested in the Holy Land and they won't have Abbas or Hamas tell them what to do. Individual shnorrers like Moshe Hirsh's kids have nothing to lose and eberything to gain, but not an empire like Satmar. It's stam gehakt. It sounds good but it's like pi---n in di mikvah. s'kust nisht kan gelt and it takes no effort. I just wish they'd stop teaching this stuff to their kids. Too many thousands convince themselves they're good Jews and zealots by "believing" this. Mezhibuzh is back on the map. 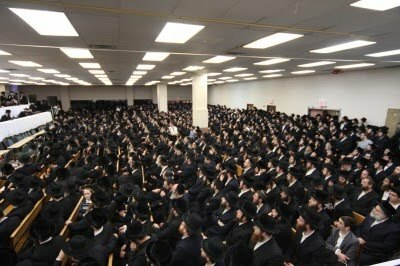 For several years now a large group of Chassidei HaBesh"t from all over the world travel there for Shavuos, which is the Yohrtzeit of the aforementioned Baal Shem Tov. Pictures of the days preceding and following the Yom Tov have reached the offices of Circus Tent and we share them with our readers for their viewing pleasure. Some of the chassidim, who happen to be Chassidei Chabad as well, traveled to Haditch (resting place of the Alter Rebbe, the Baal HaTanya) and Niezhin (resting place of his son and successor, the Mitteler Rebbe) on Friday, spending Shabbos after Shavuos in Haditch. Rachmistrivka, home to several descendants of Reb Mottele Tchernobler, was also visited. Pictured on the right is HaRaHa"Ch Reb Nachman Yosef Twerski of Crown Heights, son of the late Rachmistrivker Rebbe of Yerushalayim. To his right is a Yid from CH whose name escapes me at the moment. 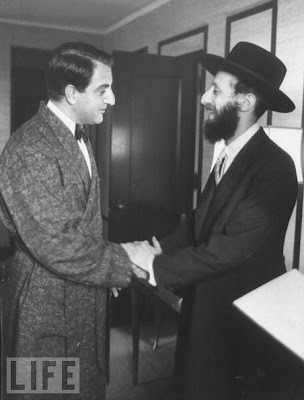 Here we have the Mashpia Reb Chaim Sholom Deitsch of Yerushalayim with an unidentified man who bought a Dashik in Mezhibuzh and is very proud of it. Reb Nachman Yosef outside the shul in Rachmistrivka where his zeides "tore" the heavens apart on behalf of the Jewish People. The other yungeleit with him are "unidentified." RNYT in a moment of dveykus while walking around the hoyf in Rachmistrivkeh. If only the green grass could talk and tell us what happened here in the past! Whatever your opinion of the Medinah, Tziyonus, the Flotilla incident or whatever, you gotta admit that this young man represents the Jew in Golus, Tziyoni or not. They hate him for being a ben avrohom, yitzchok VeYaakov. Sure he waves the Zionist flag, but these people yelling and screaming at him are Turks like I'm a Terk. They could care less what happens to Turks, it's what happens to them via the Jew bothers them. The greatest Kano'i of them all, SHe"B The SatmarRov, zt"l, agreed that they hate us because we're Jews. This young man needs our support and congratulations. So I'm cruising Col Live and I come across this story about a wedding in Crown Heights last night. 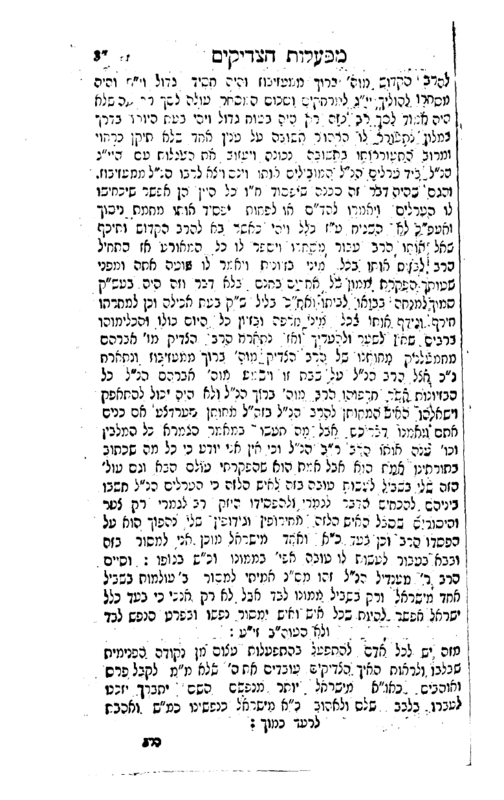 Nothing very out of the ordinary there, except that the Dinover Rebbe, the younger brother of the Munkatcher Rebbe - was the mesader kiddushin, which sort of weird when the two - or either side - are not what you'd call Gezhe or Boro Park/Williamsburg families. [It turns out that the DR is related to the kallah.] I guess that's what caught my attention. So I scroll down and look at the pictures, and epes shmekt mir nisht. Don't get me wrong, there's nothing Halachically wrong here, it's just that the choson looks unkempt and not like a choson should. Then I saw the shoes, un s'iz mir nisht gut gevorren. 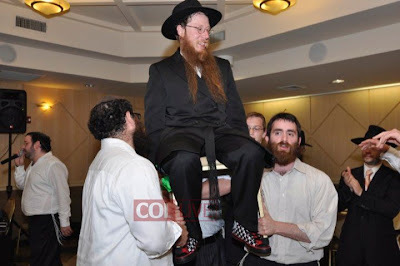 I can understand a kallah wearing sensible or comfortable shoes, but a choson? and noch vos far a surt shoes! The only thing that bothers me maybe more is that cutesy comments on COL, where people find this cute and adorable. More reason to shake your head and wring your hands, if you ask me. This may not seem like much to many of you, but it shows how a general problem has gotten out of hand and needs to be corrected, and it won't take much work, just a little bit of paying attention. I ask that you see these words of mine for what they are, meaning don't think that I'm talking down or trying to distance myself from the newly observant. What happens in Lubavitch is since there are so many Baalei Tshuveh that many of those who join don't feel like they need to conform. He can join one of the subcultures and not feel left out. Once you have that situation on your hands, where a BT does NOT want to go mainstream yoyu really have no choice but to let him be. A Skverrer or Bobover BT knows that he needs to do everything just right and not G-d forbid "beep when he needs to bop." So he makes da-n sure to do everything just so, so as not to stick out from the crowd, unless, of course, he opens his mouth which would give it all away. But if he follows the rules and customs he'll be OK, relatively speaking. I also believe that in those groups that don't have a large BT contingent that they make sure that the BTs that they have fall in line, so as not to make the rest of them look bad. If you're gonna tell people you're a Bobover make sure to look the part or they'll disown you. I'm not saying that all it is is just protecting their self image, but image is important there and it extends to all aspects of life - with geborener and gevorener. Or maybe they just care more about looks, I don't know, but the fact is that I doubt they'd find a choson with checkered sneakers cute. You may wanna disregard what I said as far as other groups, but I stand by what I said as far as Lubavitch is concerned. In Lubavitch this is exponentially more difficult than anywhere else. In Lubavitch love's the word. You need to love everybody, so many people misconstrue that message of love and take it to mean let me do what I want and don't ever tell what to do. If I wanna put white sneakers on my kid with his Shabbos suit that's none of your business. If my husband wears blue jeans with his kapote stay out of it. Not that it's always deliberate, sometimes it's simple lack of knowledge, but it often is deliberate, and after a while you're afraid to open your mouth for fear of insulting or angering a person you don't want to hurt. Again, this isn't limited to the BT; the sneakers and the jeans are just examples. The same goes for other breaches of Charedi etiquette, and the same goes for the Gezha and other FFB. 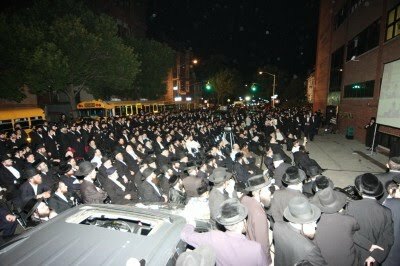 Having made all the excuses for Lubavitch there still is no excuse for what happened with Chasan Dinan. To their credit somebody did arrange the wedding and did manage to get him and her the necessary attire. He has a new hat and kapote and she has a dress, but what about the rest of him? Couldn't he be told to at least get a haircut on this auspicious day? Is that too much to ask for?! Hello???? This isn't meant as an attack on the choson himself. I realize he probably worked very hard to prepare himself, especially as far as the spiritual is concerned. I know that lots of hard work probably went into arranging his wedding on behalf of many people who gave of their time and money to get this very sweet couple on the road of life. Which is why you scratch your head and wonder why they missed this little point. I understand people are very lofty these days and are not into gashmiyus.... but that's as far as your gashmius is concerned. For yenem's gashmius you need to have mesirus nefesh, no less than for his ruchnius, especially when it comes to hachnosas kallah. A concerned friend is all it took here, the choson would thank him later. And I hope that concerned friend nudges them along later in life as well, with lots of understanding and love. I just hope that he doesn't decide to wear these shoes every Shabbos, that would just be too much to handle. In any case, we wish the yunge porfolk a life full of mazel and brochoh and nachas and glick and lots of money and lots of chassidishe kinder talmidei chachomim and noshim k'sheyrim ad bias goel tzedekl bb"a.